WHY BUY PARTS & ACCESSORIES FROM US? 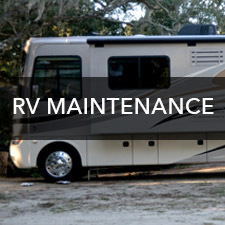 All Seasons RV has the finest selection of RV accessories and parts in all of North Central Washington. All Seasons RV boasts over 10,000 square feet of display for all of the latest in parts and accessories. Our close relationship with Stag-Parkway Distributing, who has a network of warehouses all around the United States, allows us to supply you with all of your recreational parts and accessory needs and desires. In the rare case a special order is necessary, most of the time we can have the parts overnight. All Seasons RV is equipped with Magna-Finder for all the repair parts you may need from your air conditioner to your wheels and brakes. We invite you to check out our online catalog (link is below) or visit our store at 4182 Chelan Hwy 97A North in Wenatchee, WA. Just take a short drive out of Wenatchee toward Rocky Reach Dam and keep your eyes open for that Upside Down Winnebago. Yes, it is true, you could just buy RV accessories online. However, at All Seasons RV, you can see, touch and talk to experts about anything in the RV field. We have what no online store can supply: people with over 40 years of experience who can serve you in person. Plus, we have techs that can install all the accessories that you can imagine. 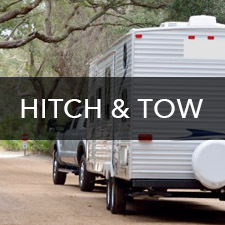 Whether you’re pulling your trailer for a fun camping weekend or towing a fifth wheel, having the right tools will ensure both you and your vehicle have a safe trip. Only All Seasons RV offers the best when it comes to your hitching and towing needs, from brake control systems to tow shields, giving you some piece of mind. We know you’re creating a home away from home – which takes a lot of work! From space saving gadgets, to comfy mattresses, to appliances, to fasteners to keep it all in place, we’ve got everything you need to make you and your family feel right at home. Nobody will be complaining about a rainy day stuck inside your RV! The whole purpose of hitting the road in an RV is to enjoy the outdoors. 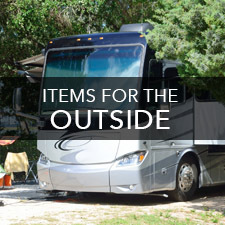 All Seasons RV has everything you need to make sure the outside of your RV is as well-equipped as the inside. We’ve got an incredible selection of shelters, covers, lighting, water accessories, grills, easily collapsible chairs for fireside chats and much, much more. It’s important to keep your investment running smoothly and we have all the tools and accessories you need to do just that. 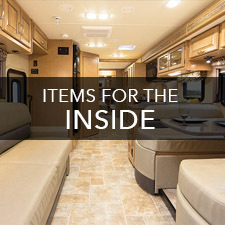 From filters, to roof protectants, to cleaning and sanitation products, to sealants…to the products you didn’t even know you needed…we’ve got every square inch of your RV covered – as well as experts to show you how to use it all.